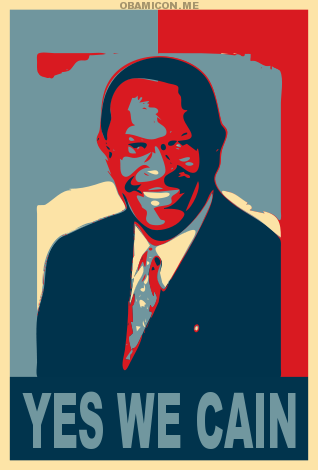 This past week I heard possible Presidential candidate Herman Cain say something a couple of times. I wanted to elaborate on it, and describe what I think it means. Mr. Cain is not shy about taking questions when he is speaking with a group of people, or even while hosting his radio show. People frequently ask things such as “how will you get Congress to pass this bill” or “how do you expect to get this done when other Presidents have failed”. Cain is very quick to say nine simple words, “when the people understand it, they will demand it”. I think there is great power in those nine words. I hear the nine words and immediately think back to Ronald Reagan. One could argue that Citizen Reagan made his first big foray into national politics in 1964 when he gave his speech on behalf of Senator Barry Goldwater, a speech dubbed “A choice, not an echo”. If one goes from 1964, then counts Governor Reagan’s years leading California, his campaign in 1976, his speeches in 1977 and 1978, and then his Presidential run that started in 1979 and ended when he left the Oval Office in 1989, that is 24 years that Ronald Reagan, Governor Reagan and President Reagan was telling the tale of America. I call it a narrative, and I’m not alone. Many times, Reagan did not just give speeches, he told a story that captured attention, he got people to believe in what he had to say, and he had the citizens of America on his side in many of the policies he pursued. Reagan never really stopped telling the story, as a public figure, he told the story until he left office. Though he may have never actually said the nine words “when the people understand it, they will demand it”, Reagan obviously lived by the idea. In modern day politics there is not much time to explain issues and policies. There is no such thing as a candidate educating the public. Not for lack of trying, but there never seems to be enough interest in it. Political campaigns too often turn into popularity contests and big media wars with tv ads and radio commercials than tell us who they are, but little else. Then, at some point in the campaigns, it becomes time for the ads to turn negative, and at that point, civil discourse turns bad, and we are more likely to hear why a candidate is bad, not why the candidate is worth voting for, and we certainly aren’t getting educated about issues and policies. Enter Herman Cain. A man not willing to let a question go unanswered. If he doesn’t have an answer, he’ll be forthright enough about that to tell you, and then tell you he will find an answer. He’s not about to blow smoke or improvise. Take issues like the Fair Tax, immigration reform or health care. Issues with no easy, simple answers. But they are issues where Mr. Cain is able to really elaborate on specific points, tell us why we should want it, and then rally us to want it for America. If America is understanding and then demanding, a President is doing his job. It will take another great communicator to right the ship as it currently sails. Voters will eventually go the polls to determine the Republican nominee for President. I hope the voters will get beyond some of the trivial questions we often ask ourselves, and instead will ask themselves which candidate will do the best job of challenging America to be better, which candidate will do the best job of communicating our message to America and which candidate will do the best job of putting “us” back into the process. For me, these questions trump the questions about which candidate can raise the most money, which candidate can invest the most personal wealth or which candidate looks the best with a rifle in their hands. I want to win. Let’s choose the candidate with the best chance to reach, inspire and convince the most Americans. In my opinion, that man is Herman Cain. With nine words in his arsenal, the rest of us can now get to work.